She is the Goddess of magic and mystery. And her eyes are inscrutable. This article (from Prediction Magazine in 1966) is a fascinating read. 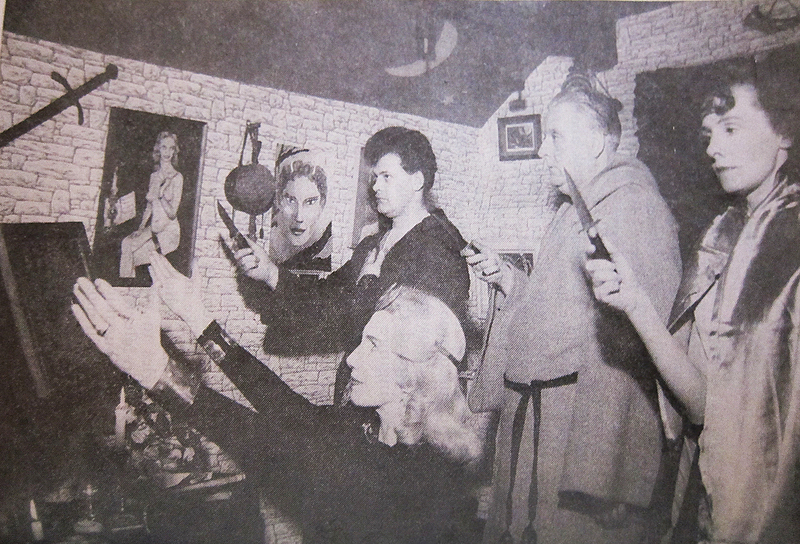 After working with the Crowther’s on “Witchcraft, the Sixth Sense, and Us,” Justine Glass wrote an extraordinary piece on the art of Arnold Crowther. The article is a bit out of the ordinary. A large portion focuses on the art work’s eyes and their psychological (magical?) effect on the viewer. There’s also a fun little story in the article about a woman who burnt Arnold Crowther’s painting of Aleister Crowley because she said it looked alive and terrified her. 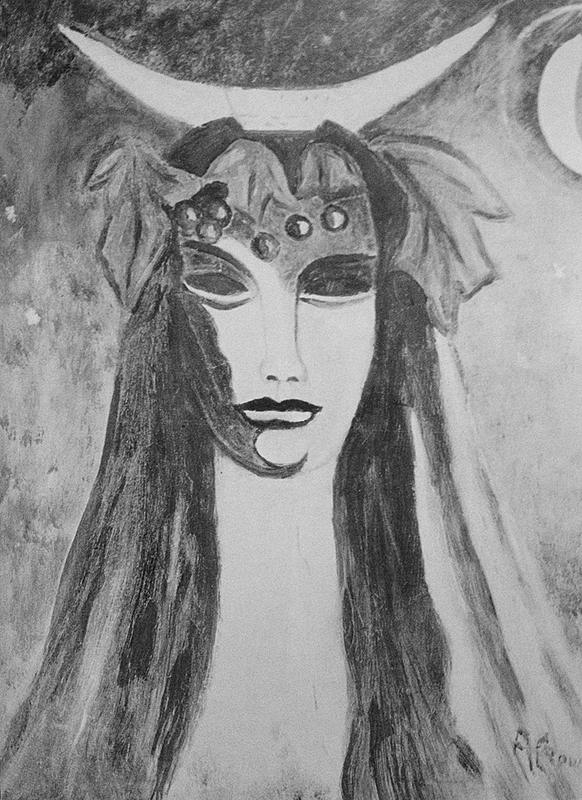 “A few weeks ago, in both the painting and the sculpture, eyes appeared in the blank sockets of the mask of the Goddess – it might be Lèse-majesté to call it a cast – in her right eye. “One day, on a visit to Mrs. Valiente, I saw the clearly-defined iris and pupil in each dark, hitherto blank, hollow of the eye-sockets as I looked up at the Goddess. Here are a couple more of (what I assume are) Arnold Crowther’s paintings in the background from the 1965 edition of “Witches Speak.” The first painting is clearly Patricia. If she was my wife I’d paint her too. Yowzers. One doesn’t usually hear much about using art as a magical practice. In it’s surface naive style, I might have dismissed Arnold’s Goddess painting if I saw it, say, at a flea market. However, not being able to separate the context from the work I find it has an effect on me too.